Success! 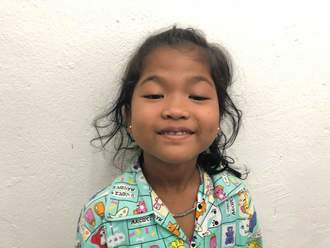 Sieng from Cambodia raised $430 to fund fracture repair surgery. Sieng's treatment was fully funded on June 7, 2018. Sieng underwent fracture repair surgery. Sieng’s surgery went well and he’s been working with the physiotherapy team to improve the mobility and function in his arm. Surgery will allow Sieng to greatly improve his quality of life and allow him to work without pain. 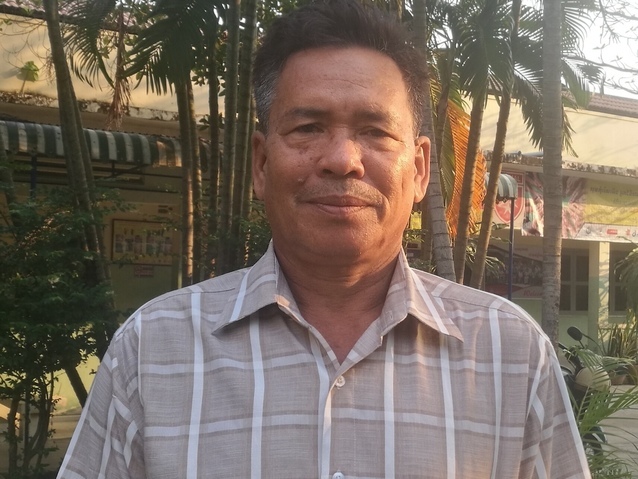 Sieng is a vegetable farmer from Cambodia. He enjoys watching TV, listening to old music, and spending time with friends. 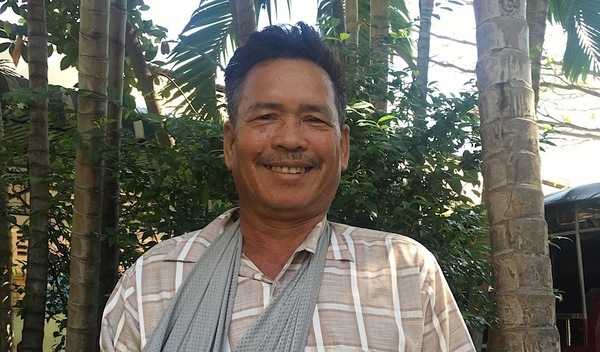 Last month, Sieng was in a motor vehicle accident that caused a fracture in his right forearm. He is in chronic pain and is unable to use his right arm. Fortunately, surgeons at our medical partner, Children’s Surgical Centre, can help. 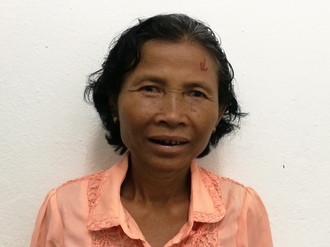 On April 4, Sieng will undergo a fracture repair procedure, which will cost $430. This procedure will help him to use his arm easily again and return to work. Sieng's case was submitted by Lindsay Bownik at Children's Surgical Centre in Cambodia. Sieng was submitted by Lindsay Bownik, Stakeholder Relations Officer at Children's Surgical Centre, our medical partner in Cambodia. Sieng received treatment at Kien Khleang National Rehabilitation Centre. Medical partners often provide care to patients accepted by Watsi before those patients are fully funded, operating under the guarantee that the cost of care will be paid for by donors. Sieng's profile was published to start raising funds. Sieng's treatment was successful. Read the update. Sieng's treatment was fully funded. Patients in need of open reduction internal fixation (ORIF) surgeries experience painful fractures or recurrent dislocations. Usually, these injuries result from traffic accidents or other trauma injuries. Living with an abnormal or deformed bone limits function and can interfere with daily activities. It is also extremely painful. Due to lack of helmet usage and weak enforcement of traffic laws, there is a high rate of traffic accidents in Cambodia. This causes many of the fractures and bone dislocations our medical partner sees. The deformed or abnormal bone is broken and correctly aligned, and any fragments are fixed. Following the realignment of the bone, metal plates, pins, rods, wires, or screws are attached to the bone for stabilization as the internal fixation. Patients will experience restored function and mobility and reduced pain. Patients regain independence and return to work, school, and family life. Complications from this surgery are rare but include infection, nerve damage, blood clots, and tissue irritation from the hardware. Rural Cambodians often self-medicate or seek treatment from traditional healers because they cannot afford hospital treatment. Many patients are referred to CSC by word of mouth. There is no alternative care for this treatment. Savich is a flower seller from Cambodia. She has 12 grandchildren and enjoys watching Thai television dramas in her free time. Five years ago, Savich developed a pterygium in both eyes, causing her blurry vision, tearing, and irritation. Pterygiums are non-cancerous growths of the conjunctiva, a mucous layer that lubricates the eye. The growths occur when the conjunctiva is exposed to excessive sun damage and the cells grow abnormally over the pupil. She has difficulty seeing things clearly, recognizing faces, working, and going anywhere outside. When Savich learned about our medical partner, Children's Surgical Centre, she traveled for three hours seeking treatment. Savich needs a surgical procedure to remove the abnormal conjunctiva from the cornea surface and replace it with a conjunctival graft to prevent recurrence. The total cost of her procedure is $201. This covers medications, supplies, and inpatient care for two days. The procedure is scheduled for April 22. She says, "I hope that after my surgery, I am able to see clearly and continue selling morning glory."